A harmonious blend of vitamins and minerals containing compounds essential for normal body function, which strengthen the immune system and improve the body condition. 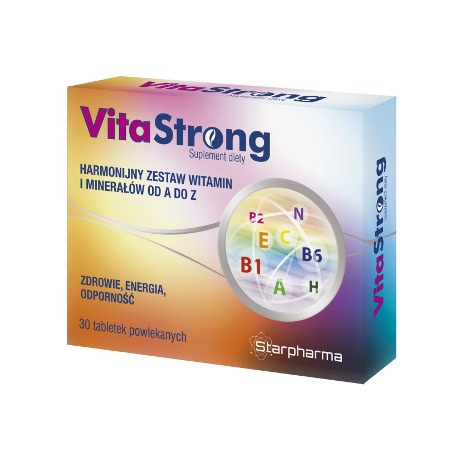 The VitaStrong food supplement is a harmonious and uniquely selected blend of vitamins and minerals containing compounds essential for normal body function, which strengthen the immune system and improve the body condition. 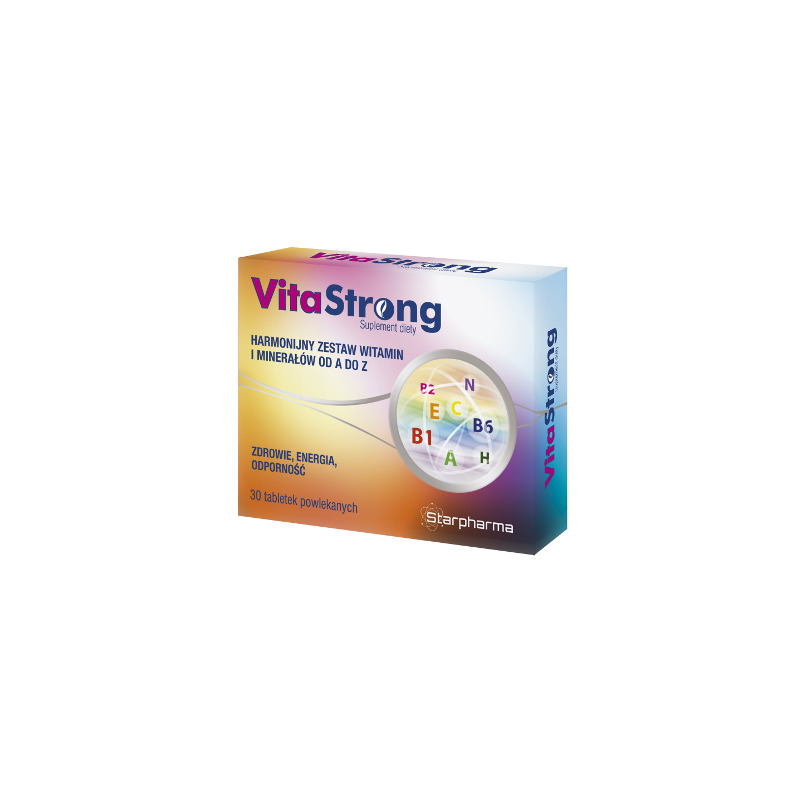 If taken regularly, Vita Strong reduces the risk of diseases and improves the tolerance to stress and physical effort. Take 1 tablet daily with water. Do not exceed the recommended daily dose, i.e., 1 tablet per day.